When I was a high school student trying to be a hippie without the commitment, I didn’t have much good to say about authority; any kind. The underground newspaper I published my senior year was full of broadsides against the establishment (60’s jargon for authority). I volunteered no alternative and I doubt I ever really thought about what would happen if the president, the police, my parents, my teachers, or church leaders decided I was right and quit. Anarchy is what happens in the absence of governance. It’s when no one calls the shots, no one leads, no one rules; or maybe someone tries to but governs too weakly to influence those they lead, are too weak to restrain the violent or the opportunists in their midst. Yesterday I began preaching a series of sermons on submission called “Can we learn to love the grace of authority?” “Grace” because I think authority is such a good thing that it can fit into the category of “undeserved blessing.” Yet I don’t think people in general like it–not even Christians. Maybe some of our evangelism tips our hand. You know, when we skip the whole sin thing. “Celia, I know you’re feeling very alone; just invite Jesus in and He’ll be your friend.” Or, “Craig, I know you’ve been battling depression for a while; just trust Jesus and you’ll find a purpose for living.” Those may be benefits of the gospel, but they certainly aren’t the gospel. The gospel is a new and forgiven life from Jesus that requires humbly bowing the knee (Philippians 2:10). Do we shy away from saying so because people–maybe people like us–are allergic to authority, period? When some Christian parents won’t correct their children in love and strength, I wonder if with some it’s because they themselves have a bad taste in their mouths about authority. Which leaves them few choices except pleading, yelling, pouting, bribing, or effectively turning their God-given authority over to their hapless child. What a tragic and lifelong price children may have to pay for mom and dad’s misunderstanding. And then there are the husbands who won’t lead their wives. Good riddance to the men who have mistreated, bullied, or led their wives harshly. But as the pendulum arcs back the other direction, can’t we jump off in the middle and be strong men who are willing to assume our calling to lead our wives like tender shepherds instead of the stereotypical tyrants detractors take us for? What about the government? Many of us evangelicals are politically conservative. Accordingly, we fume and rant over a government we think is too intrusive, too liberal, too quick to spend money. Some justify cheating it because its laws are ridiculous–or just because it’s too confiscatory and they feel entitled to keep what they can get away with. Those of us who wouldn’t go that far pay taxes and vote, but do we realize the institution is God’s? Pray for it and rejoice in it, accordingly? Submission to authority has a pecking order: if human authority tells me to sin or opposes God, I must resist it, object to it like Peter and John did (Acts 5:29). And there is a way to submissively disagree with any authority. Even the prophets were able to do that with God. But I hope this series gets us all to peer into the Word and let it checkmate any misconceptions about authority that our friends or culture have instilled in us. Because based just on Genesis 3:1-9 alone, rebellion against any authority God’s established is Satanic. Check out the Satanist’s pentagram. 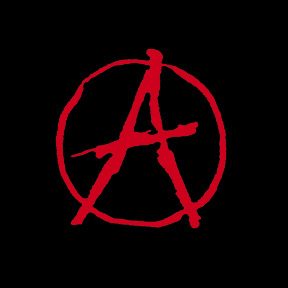 And then the symbol for anarchy. Hmm. Excellent post. Very timely with the elections around the corner. I need to remember even though I strongly disagree with the direction are government to taking us, I need to pray because the Lord has placed those in power over us.